London Transport ex-GWR 0-6-0PT No. 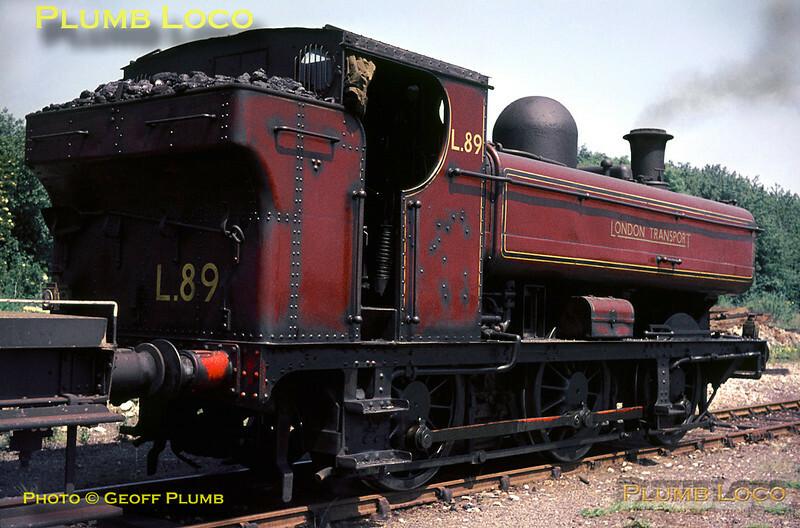 L89 (GWR & BR No. 5775) sits in the sunshine at Croxley Tip, having just arrived with the spoil train from Neasden via reversal at Watford. After shunting the loaded wagons it then departed with empty wagons to return to Neasden depot. June 1967. Slide No. 2810.